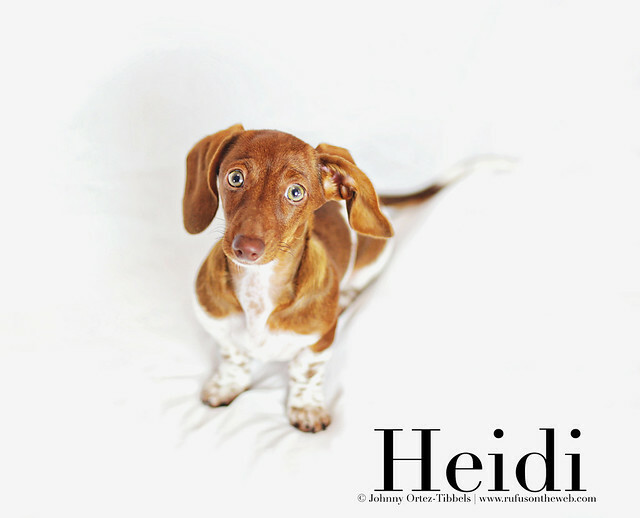 Introducing the loveable Heidi. She’s an adorable piebald dachshund puppy that just recently relocated from Southern California to Texas. My pack and I are certainly going to miss this precious bundle of joy, but we are very grateful that we got a chance to photograph her. Hope to do it again in a few years, when she’s older. I’m still in the process of editing her set, but here is our Friday First Look. More to follow so stay tuned friends. And, let us know which are you favorite so far. Mine are above and below. I just love the action shots I captured between Heidi and Lily. 🙂 Be still my beating heart watching these two play. This entry was posted in Rufus and tagged #ADachshundsLife #HappyHounds, #AdventuresWithDachshunds, #dachshund, #dachshund puppy, #DachshundPhotography #DachshundArt #OriginalPhotography, #ProfessionalPortraits, #WienerDogs #HotDogs, doxies. Bookmark the permalink.